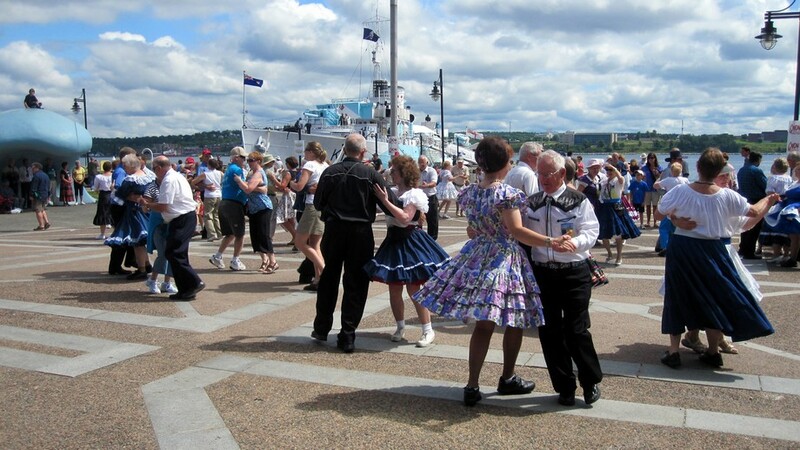 Hundreds of square dancers "swing their partners" at the Dance By The Shore at Sackville Landing, down on the Waterfront. 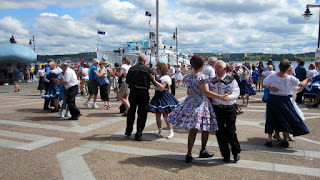 The dance was an unofficial community event being held during the Natal Day Festival, on July 30 and 31, 2010. The song being played during this picture was an upbeat rendition, with live singing by the caller, of "There Was Always Love In Daddy's Hands". This song was originally sung by a woman, but as the male caller accurately remembered during his version, "there wasn't always love in Daddy's hands, let me tell you."